Finding the best board games to play with your family and friends is not an easy task, especially with so many great options on the market. However, after reading some great product reviews ourselves, we made a list of the most popular games for teenagers and youngsters that will certainly keep you entertained on a rainy afternoon. You can find our selections below, along with the most important characteristics of each game. Winning Moves Games Guess Who? This is one of the classic great games for 2 players that you will want to play with your best friend. The package includes two plastic game units, 48 small face cards, as well as built-in face frames and score keeping. All you have to do is carefully read the provided illustrated instructions and be ready for a night of fun. This mystery game was a hit back in the 1980s and it appears it has made a miraculous come back. Find the mystery person on your opponent’s card by asking the right questions and eliminating the wrong faces. This great game is perfect for children and adults of all ages who want to have a fun night playing not-so-regular board games. In this popular game, you have to test your abilities as an artist and determine your team members to guess what you wanted to draw. The catch? You’ll have a pair of vision-altering goggles on you and you must draw the specific item indicated before you run out of time. This fun game is suitable for ages seven and up. It comes with simple rules and it is fun and fast to play. This surprisingly addictive game also made a comeback from the early 1980s and is ready to help you have a fun night thanks to its new and improved design. Keep in mind that this is a game of memory, recall, and action so you’ll have to test all these features if you want to be the winner. The item requires 3 AA batteries and is suitable for children and players seven years old and up. All you’ll have to do is remember the flashing light sequences correctly and repeat them in the exact order. You’ll find it more challenging as you level up. This fun and easy game can be played by all children and adults alike and will certainly bring laughter as it is impossible not to give funny and memorable answers. The 5 Second Rule is easy to play. The package includes 200 cards with 400 questions in total, 6 pawns, a game board, the 5-second twisted timer, as well as the rules you need to learn before playing. All you’ll have to do is answer two quick questions in maximum five seconds. It may sound easy but you’ll find it quite challenging to focus in such a short amount of time and give good answers also. This used to be one of the funniest and coolest games for 12-year-olds and adults alike. This all-time classic and addictive game will test your balance and your stretching capacities as you’ll have to reach the color matching dots on the vinyl mat with the exact body part suggested in the instructions. 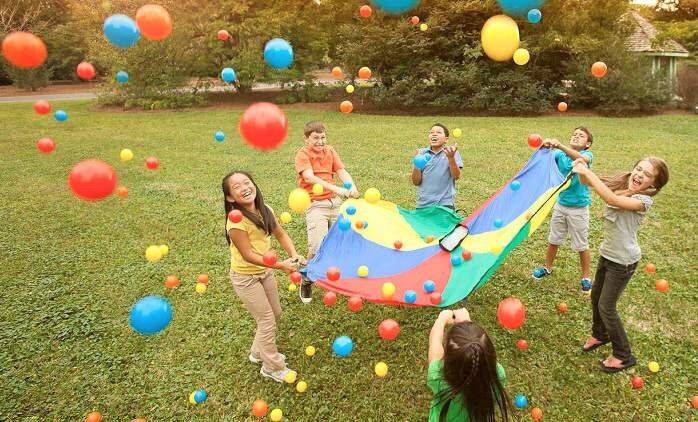 The game can be played in two up to four different players and it will be extremely fun to see all four of you struggling to fit in the same mat and trying to reach all corners of it without losing your balance or falling off. This game is a little bit more complicated to play and contains many different pieces, but once you’ve learned your way around, it will be perfect. It is mainly suitable for small children as it will help them develop their intuition and improve their communication and team spirit. The box contains one huge game board in three different sections, 30 gold bug cards, a sand timer, 6 food tiles, 4 movers and mover bases, as well as other important pieces. Make sure to read the instructions carefully and explain to your children what they have to do. You can go on an adventure as soon as you open this box. The game is suitable for families so both adults and children can play it for a fun afternoon. You can play it at parties or simply when you want to do something fun with your grandchildren. What we love about this game is that it contains two indoor clue card decks and two outdoor clue card decks, so you can enjoy the game both in the garden or inside the house. You also have the possibility to hide objects and then have clues that will help you discover them or you can simply spot some objects and determine others to find what it is about. The game is suitable for children ages five years old and more. It can be played in 2-4 players and will encourage your kid to learn the basics of math drills with fun and exciting small quizzes. As your child will play the game, he or she will develop fluency in easy and early math skills which can help he or her be prepared for school from an early age. The game box contains a game board, 4 swamp sweet creatures as game pieces, a pair of 2-number dices, an operation die, and easy instructions to learn how to play the game quickly. The popular Game of Life from Hasbro comes in its junior option to help your kids get acquainted with one of the oldest board games in the recent history of the country. The box contains high-quality toys for children regardless their age. It was tested for durability and quality and it is made of safe materials. The box includes 4 junior car tokens, 1 spinner, 96 cards displayed in two decks, 48 stars, and a game board. Enjoy life’s twists and turns just like in the game for adults, but with more fun rides to take. The player who reaches 10 stars first wins the game. This weird game appears to be a favorite amongst children ages four and more. It is specifically designed to be enjoyed by two to six players and the rules are quite simple. You have to feed the pig’s mouth with food, then pump its head. Each pump will make the pig’s belly grow until it pops. The more the players pump, the more the belly will grow. The player who manages to make the belly pop wins the game. The good part is that kids can easily reset the game and play it all day long without getting bored. If you are a parent, then you know how important is for your kid to develop great cognitive abilities. Even if your child hasn’t started school yet, that doesn’t mean he or she can’t begin to learn something. Best kids’ games are great gateways to learning and life in general. Be it on the computer or classical board games they produce a fun and safe environment for your little one to get a headstart in life. Of course, games are also a solution to turn your kid into a more active, happy little person by enabling him or her to enjoy hours of fun stuff. Every year that goes by brings forth lots and lots of new games for sale and if we add them to the already existing ones then you’re going to find yourself facing the uncomfortable realization that you don’t know how to find cool games for children. It’s a tough place, we know, but you should find comfort in knowing that almost every parent visits this place as well and in one way or another manages to pull through in the end. The only difference between you and them is that you’ve got a secret that will help you and that secret is our informative buying guide. Either if you’re a parent, a teacher or a relative you care for the children in your life. So you want to give them something that is both educative and fun. We’ve got you covered. After looking through kids games reviews, we’ve put together this comprehensive guide solely for your help in order to find the best games for kids. When we’re talking about kids, we’re talking about impressionable minds and carelessness. So you need to take extra means in order to ensure that the games are safe to play. After you managed to find a game that you’d think will be to your children’s liking you can do some things to make sure that they won’t harm them. Firstly, if we’re talking about small children you should look for any small pieces that could be swallowed because that could lead to unwanted problems. So avoid them by simply looking for age-appropriate games that have age restrictions usually written on the box. Then, play the games yourself, it’s the easiest way to get familiar with them. Look at trailers, reviews and what other parents think about the product you’re considering to buy in order to reassure yourself that you’re giving your child what you want. Finally, good kids games, especially the ones that present an educative role come with endorsements from trusted parties, such as teachers and respected companies with good reputation along with expert opinions from learning officials. This is a great indicator that the game you chose is safe to play even if you are not around. Beyond developing reading and learning aptitudes you should look for games that engage your kid in a social way, so we’re talking about great games for two players or more. It doesn’t matter if we’re talking about video games or other types, it will be easier for your child to fit in at school or in society in general if you’re allowing him to play with other kids. Social skills are key elements in enabling your son or daughter to get a solid start in life. Games can be used like rehearsing for events that will happen later in their lives. They will learn how to cooperate, make new friends, and negotiate conflicts. Studies show that certain games enable your kid to gain critical thinking, eye coordination, they become more sympathetic, kind and helpful towards others. Another important social skill that might have slipped your mind is patience. Think about it; there are a lot of things that are more annoying than an impatient kid that misbehaves. There are many games that require taking turns, more players, more waiting time. If they’re playing the game, they like it so they wait their turn, thinking about different possible outcomes of their actions. Games that are to be played in teams can be used to teach them how to cooperate and work together in order to overcome certain obstacles. Story-based games might make them fall in love with reading or might inspire them to write. We brushed the subject a little bit earlier, but allow us to expand. You shouldn’t buy games for 12-year-olds and expect your toddler to play it right, or don’t take the risk of giving your baby toys for boys older than 7. As we said, most games come with age restrictions that are stated on the box. 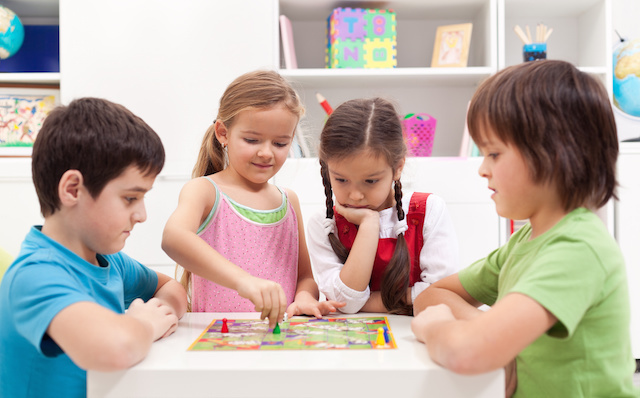 A game that is too easy to play might leave your kid unimpressed or might lead to boredom. Instead, one that is too challenging will cause frustrations and anger. They should be relevant to your kid’s age group, and they must be capable of providing engaging themes and topics. There is a study showing that kids spend on average 30 minutes a day playing video games. And this is on an everyday basis. You should tap into this demand that seems to have a natural cause and introduce them to educational games or other types that shouldn’t induce addiction or stress. In other words, you should make the time that they spend playing more productive. If you’re a parent, you should limit the time that your kid spends playing, regardless of the type of game that she or he plays. By doing this, you will prevent eye vision impairment, obesity or back problems. Apparently, 30 minutes a day is sufficient for enabling cognitive development. You can buy your kid the games that you used to play when you were young. It will be a fun experience for both of you, and it will give you the occasions to share a nostalgic moment and connect. You can even find kid-friendly versions of games that you’re playing right now, games that would otherwise wouldn’t be appropriate for your child to play at his or her current age.